I apologize in advance because the photos of this manicure are super messy. Sometimes I remember to clean up my cuticles and sometimes (ok ok, most of the time) I don’t. 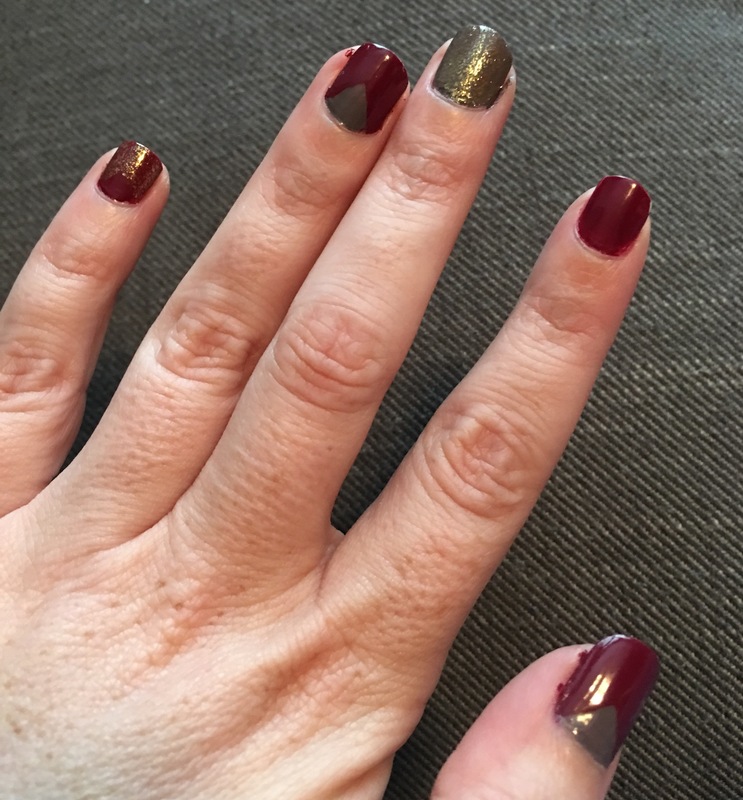 This is the second polish that I purchased from the OPI Fall/Winter 2016 collection (Washington DC is the theme). I’m about to shock you here, but I actually like this one more than I like the green. It’s possible that I was abducted by aliens and they altered my brain somehow. 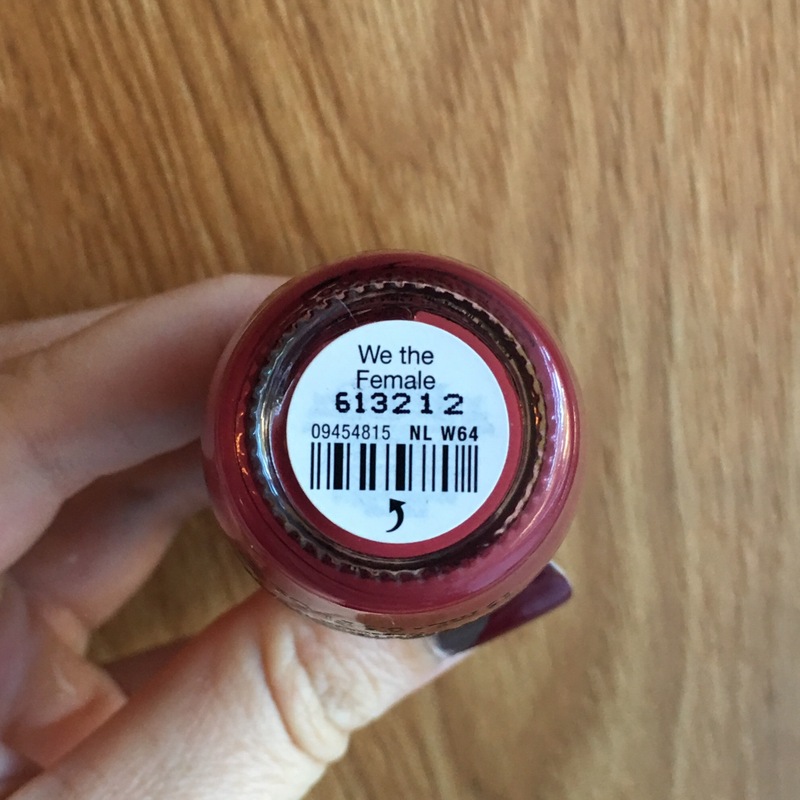 We The Female is a gorgeous cranberry/garnet shade. It’s exactly the kind of color you really want to wear in the Fall. This particular manicure is complicated to explain. I used OPI Nail Envy as a base. The nails with We The Female as the primary color are generally three coats of color. 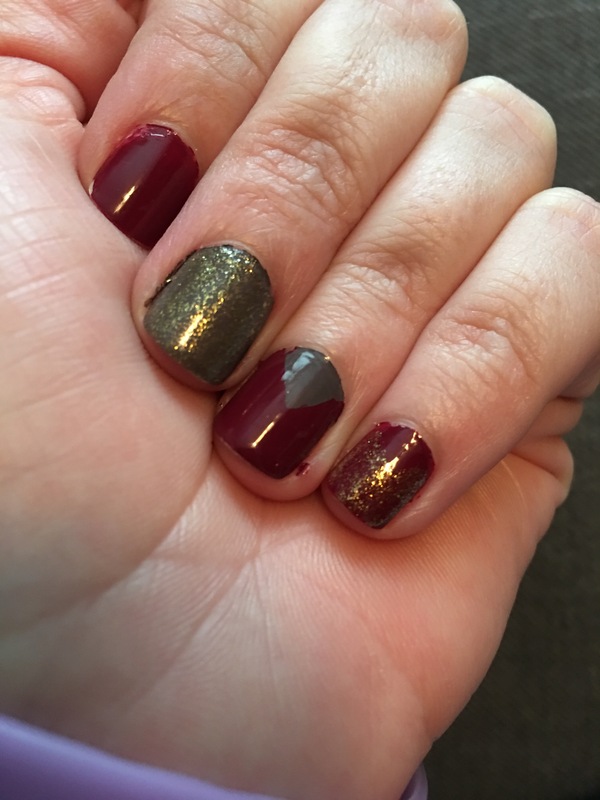 The gray is Stormy Nights (Revlon – discontinued) and the gold is OPI Goldeneye (limited edition from a few years ago). It’s all topped with Seche Vite. You’ll notice some chipping even though this is obviously a fresh manicure. I assume that this is because I failed to remove the lotion from my nails prior to painting because the first time I wore this polish it wore all week with only minor tip wear. That’s right, I wore this color two weeks in a row. Did you buy any of the shades from this collection? There were some really interesting “ugly” colors that I was very tempted by. I still need to see these in person, but I did like the look of some! This one’s really flattering on you – can’t say no to a deep red like this! I’m such a sucker for deep reds! There were some interested muted “ugly” pretty colors in this collection that I was really tempted by but I knew that they would look dreadful on me. Oddly I haven’t seen this collection out and about very much. It was at Ulta for a very limited time (at least in my local one, I don’t know what the online situation is) and it was at Sally’s for like five minutes then I never saw any of these again. I wonder if something happened? 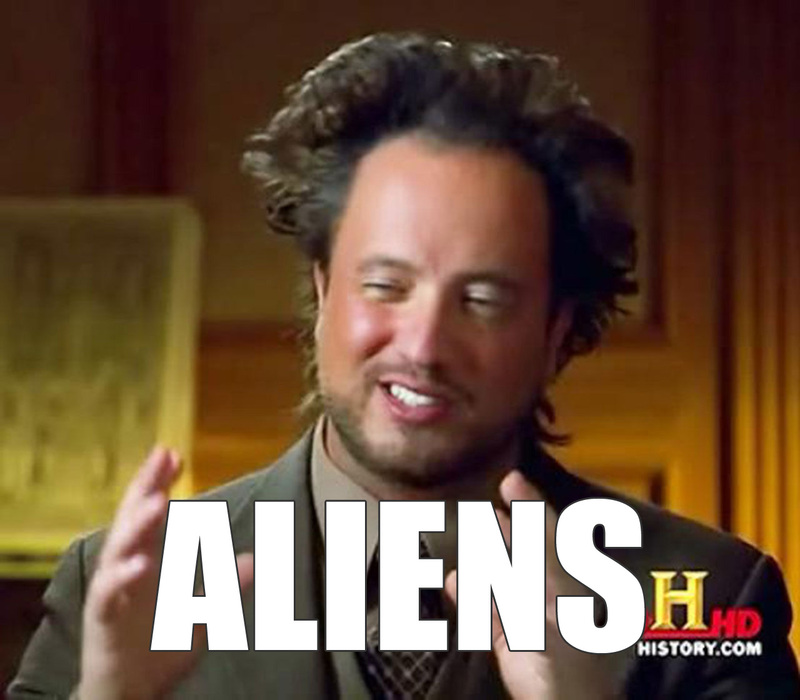 LMAO that guy, the “Ancient Alien Theorist”… cuckoo!